Registration for the 2017 SDS/2 Users Group Conference is now open! The annual three-day SDS/2 Users Group Conference is primarily a learning opportunity. Activities include training on specific topics determined by the Users Group, the unveiling of new enhancements, award presentations and other activities. This year's conference will be held September 27th through the 29th at the Embassy Suites in Lincoln, Nebraska. With the release of SDS/2 2017, Design Data has introduced a new solution to the market: SDS/2 Concrete, which automates the detailing and fabricating of reinforcing steel (rebar). 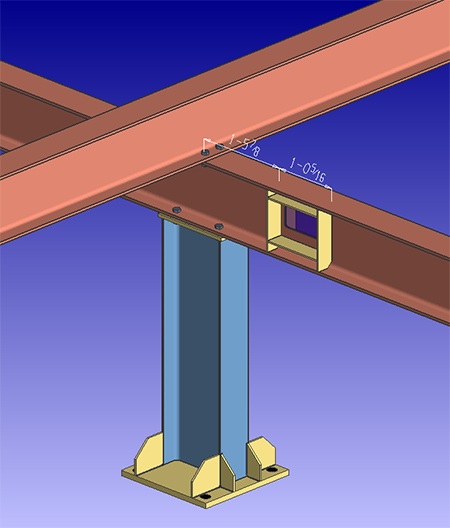 Specialized tools within the software allow the placement of rebar in concrete footings, walls, beams and columns, as well as automatic connection design to embeds, with full design calculations. 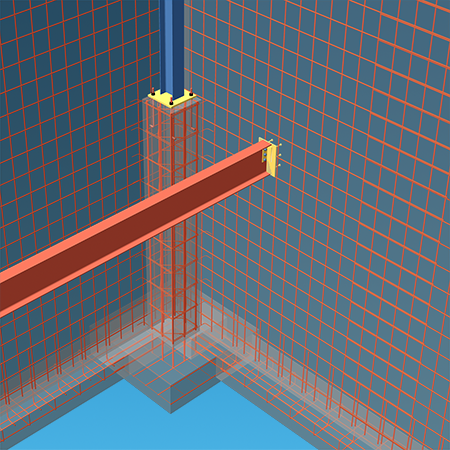 SDS/2 Concrete provides automated placement of rebar in the 3D model, including standard rebar shapes out of the box; it also features automated creation of fabrication data from the 3D model, such as placement drawings, placement schedules and bar bending schedules. SDS/2 Concrete is fully compatible with aSa rebar software for estimating, production and tagging, to take rebar from detailing all the way through the fabrication process. Its features also seamlessly work with any of the SDS/2 software solutions, allowing easy and smooth communication through the model for the project. To learn more about SDS/2 Concrete, visit sds2.com, email sales or contact David Zabka at 800-443-0782 Ext. 181. The 2017 SDS/2 Solid Steel Competition is now open. All entries, including the job and fabricator, must be received at Design Data by September 1, 2017. Design Data will host two New/2 2017 support webinars in June: Modeling Enhancements on June 7; and Stair Enhancements on June 21. Both webinars will take place at 10:30 a.m. CDT.